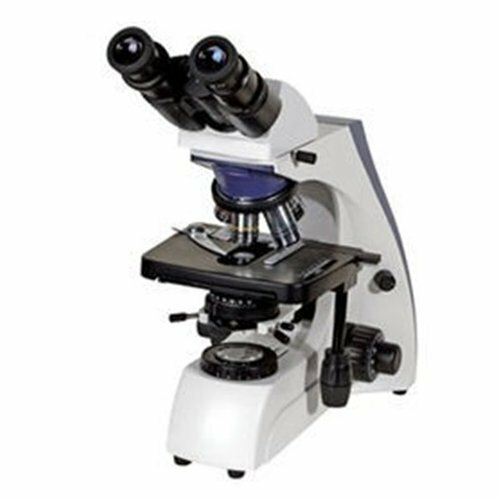 Biological Microscope BM-3000 Series provides Microscopy solutions for the future oriented markets of – Industrial Solutions and Medical Research Solutions, Life sciences, Nanotechnology, automation and software solutions – these are the subjects of the future. Seidentopf Binocular viewing head, with viewing angle 30° Dioptre correction ±5, Interpupillary distance 55 ~ 75mm. All the prisms are Anti-fungal coated. Plan Achromatic objectives 4x, 10x, 20x, 40x 100x (oil immersion). All the lenses are antifungal coated. Dust Cover, User manual, Filters Blue, Green Amber, Power Chord, All packed in a Styrofoam Box with outer Carton.